1) Pick the dead flowers from the plant and put them somewhere to dry completely. 2) Separate the top and bottom portion. 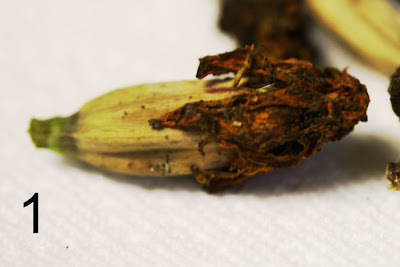 3) Open up the bottom portion to reveal the seeds. 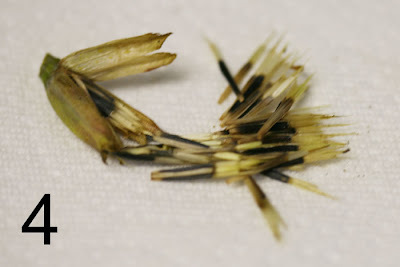 4) Take the seeds out. Make sure they're completely dry before you store them in a sealed container (to prevent mold from growing). 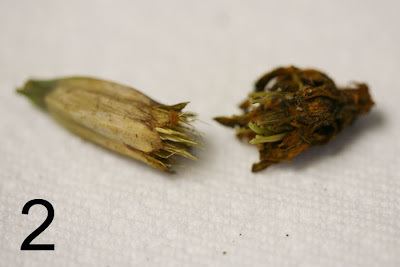 This post brings back so many memories of me and my sister pulling out the seeds from our Marigolds. 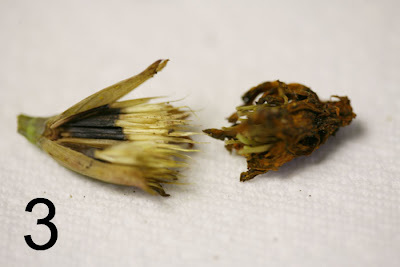 If only all flower seeds were as easy to harvest.